The Pilgrim Nuclear Power Station (PNPS), located in Plymouth County, Massachusetts on the shores of Cape Cod Bay was commissioned on December 9, 1972. 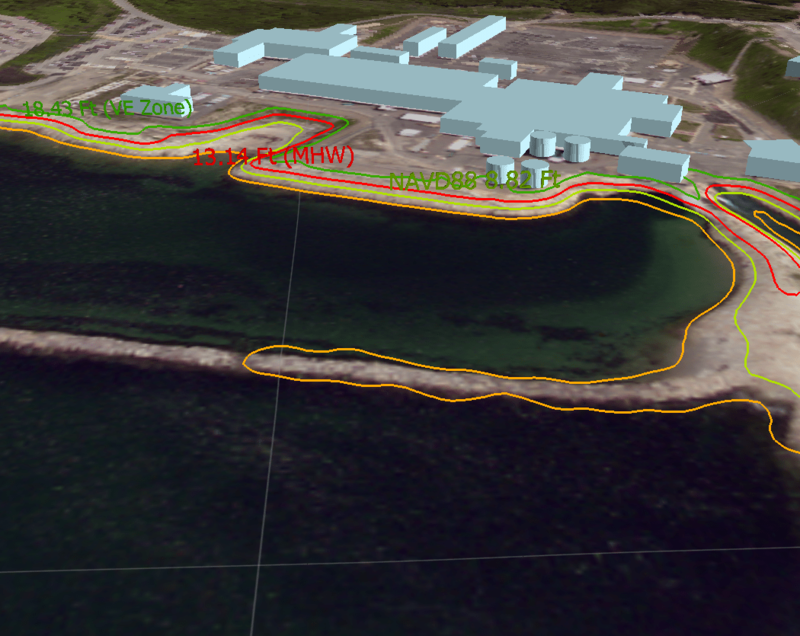 The power station design included development of near-shore revetments and other engineered reinforcements intended to protect the site from wave action emanating from Cape Cod Bay. Over the operational history of the power station, there have been dredging operations to ensure that the water intake and outlet remain operational and that engineering design meets current standards. Resulting from a perceived shortfall in response to global climate change and sea-level rise evidence on the part of PNPS, it has come to the attention of the Jones River Watershed Association (JRWA) that the Pilgrim Nuclear Power Station site and its assets may be at risk. Specifically, with the advent of outdoor storage of high level radioactive waste in the form of spent fuel rods contained in casks engineered for such containment in close proximity to Federal Emergency Management Administration (FEMA) flood zones. 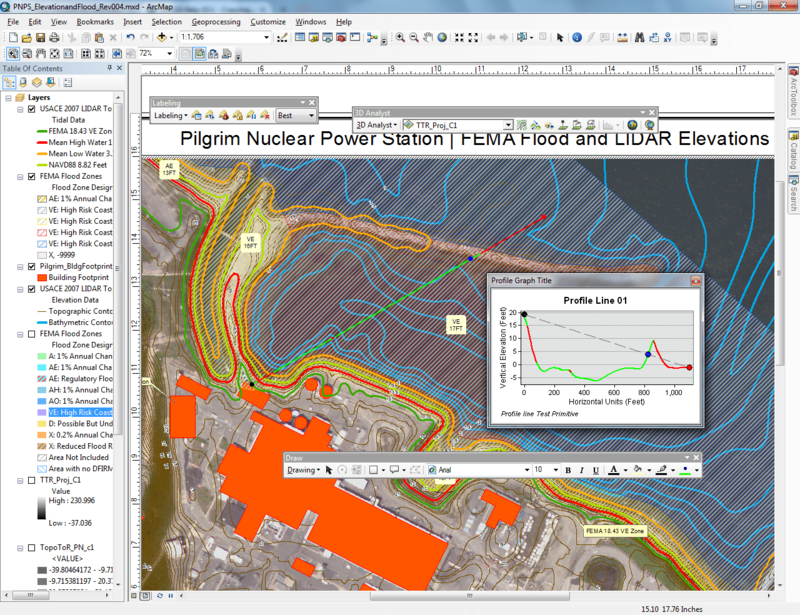 This elevation analysis has been conducted using the best available, civilian accessible geospatial data in a comparative study to determine where the location of spent fuel casks are in regard to FEMA modeled flood zone data. The recommendation based on this analysis is to undertake a site survey of PNPS grounds using known, measured benchmarks. Additional reference locations should also be plotted and measured throughout the PNPS site for an accurate elevation data set that is surveyed to the NAVD88 datum. This will provide the public (regulators, residents, etc.) with a clearer picture of how sea level rise resulting from our changing climate impacts current, potentially hazardous conditions at PNPS. 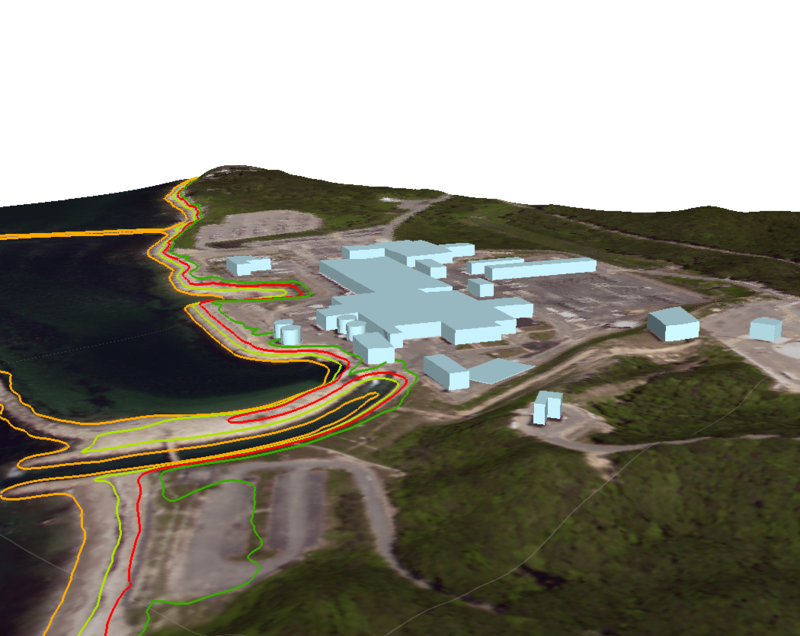 Further, a new data set will enable decision-makers the ability to more accurately assess on-site assets and contingencies for future planning.